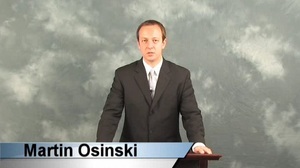 Mr. Osinski is a founding partner of the law firm of DiCaro & Osinski, LLC and represents clients in all aspects of Family and Matrimonial Law, including divorce, child support, visitation, maintenance, division of assets, child custody, and parentage. Mr. Osinski has handled numerous difficult dissolution of marriage actions involving complex financial and child custody issues and routinely partners with financial advisors and mental health professional to provide comprehensive representation to his clients. Mr. Osinski lectures extensively on Family Law issues and has conducted numerous local and national radio interviews on family law issues.